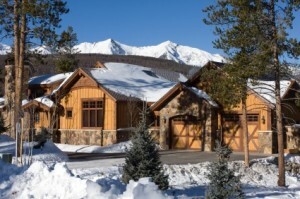 The Breckenridge, CO real estate market showed some really terrific improvements in 2013. Now that 2014 is here, it’s time to figure out how to continue this promising trend. In this blog, I will provide you with some important tips to keep in mind as 2014 progresses. Whether you’re looking to buy or a sell in the Breckenridge CO real estate market, these guidelines could make all the difference when you enter the Summit County housing market. Since the market is getting better by the day, you can count on lots of competition for every appealing property for sale in Breckenridge. If you’re interested in buying this year, you need to address your credit right away. Get your credit report and work towards fixing any issues. Remember that if your score is below 620, you might face some challenges if you apply for a conventional loan. Sadly, even a score under 740 might not qualify you for the best rates. However, if you check your credit now and work on whatever problems you may have, you’ll be in good shape for a pending real estate deal. Also, after you get a thorough examination of your finances and loan potential, you can put yourself in the running by getting pre-approved from a lending institution. This is something to show a seller in order to get ahead of the competition. That way, the seller knows you’re serious and you already have the financial backing to close the deal. So you’ve decided to sell your Breckenridge home in 2014. That’s wonderful! It also means you need to start getting your property ready now. As an experienced realtor, I know that it takes longer than expected to prepare for a new listing. First of all, get your home inspected so that you know what repairs need to be done. You may think you’re fully aware of any problems, but there’s always the chance that you’ve overlooked something significant, or that building codes have changed since you made an improvement to your home. A professional inspector can find areas of your property that could be deal-breakers unless you make the necessary fixes. This is also the time to clean, organize and store extra possessions that could prevent buyers from seeing the full potential of your home. Whether you hire a home staging professional or take care of it yourself, a clean, tidy house will get more offers than a cluttered one. The recent recession caused many devastating problems for otherwise responsible homeowners. If you went through a foreclosure, you’re not alone. The good news is you may not have to wait as long as you might guess before getting another mortgage. Fannie Mae, Freddie Mac and the Federal Housing Administration (FHA) only require a 3-year waiting period as long as the foreclosure occurred due to extenuating circumstances. This means you now have more options for acquiring a home loan and purchasing your own property again. For years, buyers seemed to have all of the control. That’s quickly changing now. Sellers are back in the driver’s seat. This means you’re in a much better position to bargain and not let the buyer call all the shots. However, don’t be impulsive and accept the first offer, especially if you notice a lot of interest in your home. Put careful thought into every move you make, and remember: unless you have to move quickly, time is on your side. On the other hand, you shouldn’t stall either. We always remind sellers that real estate runs in a cycle and if you wait too long, the sellers’ market will be gone. If you’re entering the Breckenridge CO real estate market as a buyer, take a look at the updated listings on my website any time. When you’re ready to talk about your favorites, get in touch. We’d be happy to schedule showings and talk about finding the right home for you in Breckenridge. Also, if you are ready to sell, I can help you through this process from start to finish. Whichever side of the real estate market you find yourself in, contact me at any time via email ([email protected]) or on my office line. I look forward to working with you!